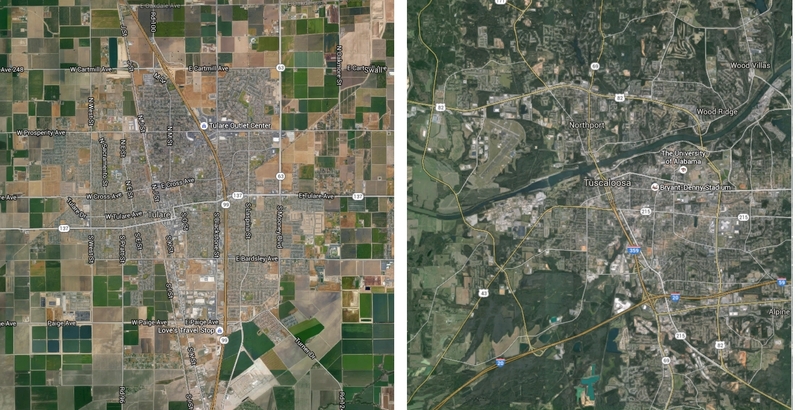 It's an observation frequently made in urbanist circles that European towns and cities have starker divides between urbanized and undeveloped land than those of the United States, contributing the perception that American cities are more "sprawling" than the urban areas of the old world. As Let's Go LA wrote in a must-read post from a couple years back, however, there is a great variation in patterns of urbanization in various regions of the US. While some parts of the country do feature land-intensive residential development, other areas are very compact. 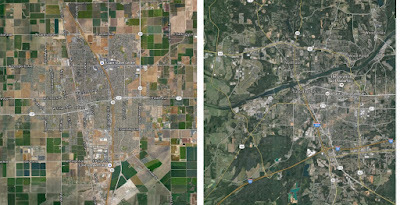 I tried to address the reasons for these differences in a post from late last year, speculating that lot size on the city fringe, in the contemporary American context, is mainly a product of 1) agricultural land values and 2) availability of groundwater, which allows housing to be built (typically at low densities) in the absence of city sewers. In areas where the value of land for agriculture is lower yet groundwater is abundant, such as the Southeast US, very large lot sizes are observed. In inland California, by contrast, where the climate and soil are optimal for high-value agricultural products and water is more scarce, cities are highly compact and lot sizes are small. European: Appreciation of agricultural land for its cultural/aesthetic heritage, as reflected, for instance, in Britain's Town and Country Planning Act of 1947. The notion of rural land as a public resource is also reflected in freedom to roam laws, which are largely unknown in the US. Farming is heavily supported by the Common Agricultural Policy, which provides funds directly to small farmers rather than price supports for commodities, to the extent that land which would otherwise revert to forest or be sold for development is kept in agricultural production. 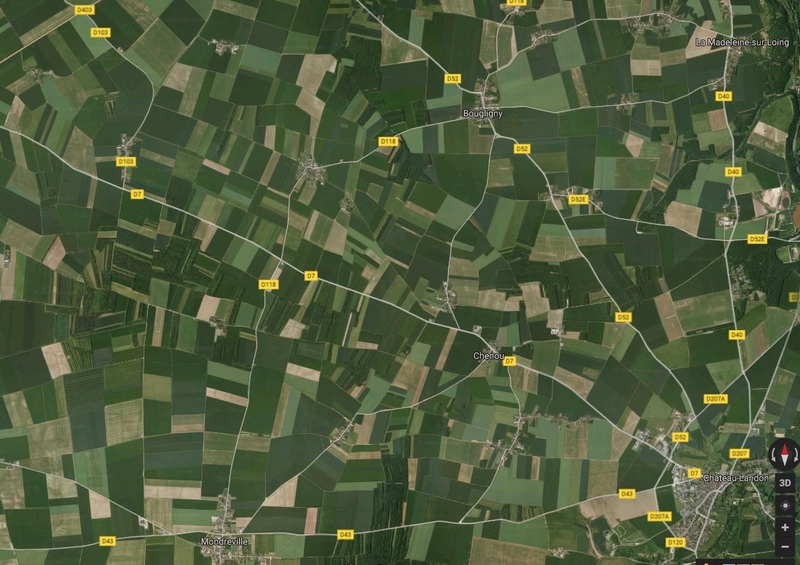 The appearance of compact European towns of tile-roofed houses dotted among crop fields and pastures is no accident, and instead is the result of public policy determined to "curate" legacy farm landscapes. American: Appreciation of dramatic wilderness landscapes with little or no evidence of human habitation, as reflected in the aesthetics of the Hudson River School of painting (not to mention Bob Ross) and, currently, in the US national park system. Agricultural land, with a few major exceptions (see Lexington, KY), is generally not given significant, independent aesthetic or cultural value that is recognized in public policymaking. Although loss of agricultural land is often mourned, few states or cities have policies that address the subject in a coherent and comprehensive way. At left, Thomas Kinkade; at right, Bob Ross, embodying the "cabin in the woods"
aesthetic that is still influential in much of American thinking on housing. French villages and agriculture, south of Paris. 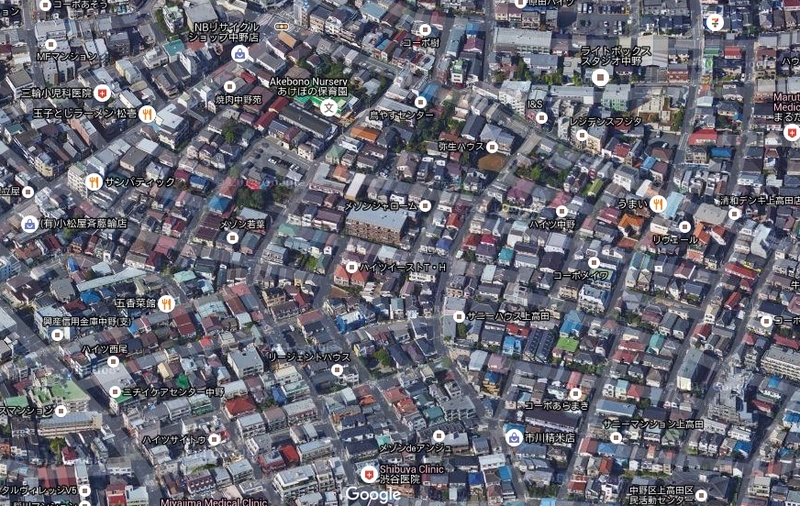 From Google maps. None of this is to argue that the United States, or any other country, would necessarily benefit from European-style agricultural regulations. What may be worth exploring, though, is the questions of how agricultural economics affects urban form, and to consider how public policy in this area relates to goals for urban development. Being the focus neither of urbanists nor environmentalists, agriculture has largely escaped significant land-use scrutiny in the United States. It deserves more attention. A while back I devoted an entire post to lot sizes, one that despite its subject matter was fairly well-read. Another related topic, which I did not address in much detail, is lot dimensions, a subject which in some ways is just as important as the overall sizes of lots. To maintain a favorable ratio of private to public land, the roads in such a scenario must be quite narrow, as I mentioned in the previous post, and that is what is generally seen in Japanese cities. Why, it could be asked, were these blocks made so wide? What sort of development was anticipated? Why were the blocks not subdivided with additional streets, as famously happened in Philadelphia? Instead of any of these options, it appears most lots were densified vertically, through the construction of two and three-family wooden houses. 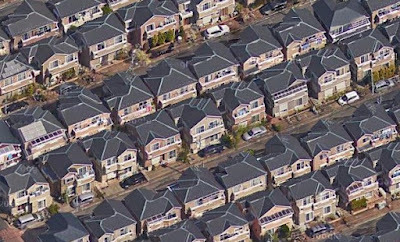 And yet, even were each lot built out as a three-story, three-unit home, the density would be less than in the Japanese example, and without one single-family detached house. Not all blocks in Buffalo are so wide, but few are much narrower. For comparison, let's examine the blocks of Detroit, a city long known for its prevalence of single-family detached housing. 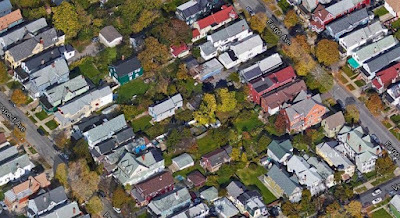 Lots here (a neighborhood of the 1910s or 1920s) are 34' x 125', a more reasonable dimension that's helped the city maintain its high share of single-family housing. Note also the presence of alleys here through the center of the block. 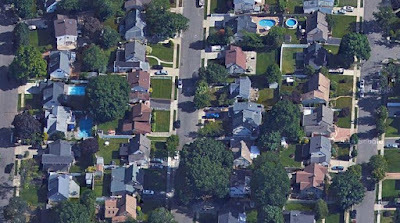 Having the distance between the side walls of houses as a fraction of that between the fronts and backs of houses is a common feature of American residential developments in all eras, it seems. There appears to have been a reversion to Levittown dimensions in the subdivisions of the 1990s and 2000s, with the New Urbanism even reintroducing deep narrow lots in the pre-1950 style in its more recent developments. I'd posed the question above of why the earliest lots were made to be so inefficiently long and narrow. Land values obviously compelled the narrow widths, but why had blocks been made so wide in the first place? Were the surveyors of the 19th century under the impression that American homeowners, like the villagers of Tsarist Russia or medieval western Europe, would be tending to "dacha"-style backyard gardens for sustenance? "If it can be tentatively concluded that the New Haven [Connecticut] plan, with its generous provision for open space, was no sudden inspiration of the moment, there is no ready explanation for the source of its form or dimensions. ... 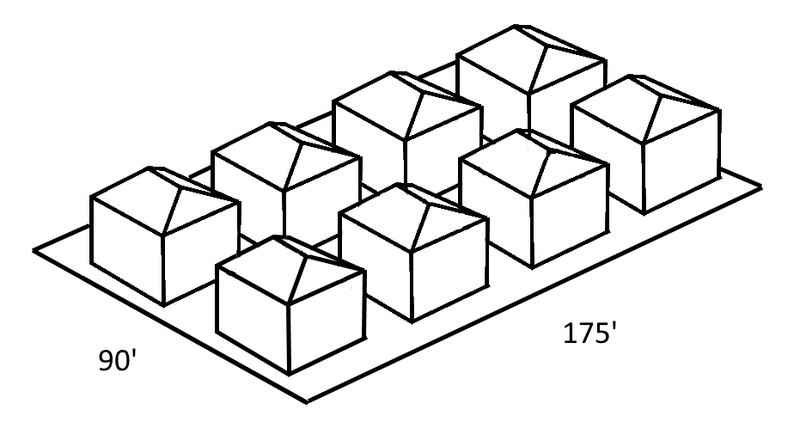 The large residential blocks did not long retain their original form. Intended to provide generous garden plots adjacent to residences, these deep squares were eventually divided into four smaller blocks by new streets running at right angles from the midpoints of their sides. . . ." The Making of Urban America: A History of City Planning in the United States, p. 130. Were the blocks of a city like Buffalo, laid out as early as 1804 by a man from rural Bucks County, Pennsylvania, similarly designed to provide an urban facsimile of the rural farmstead in what was then wilderness of Western New York? 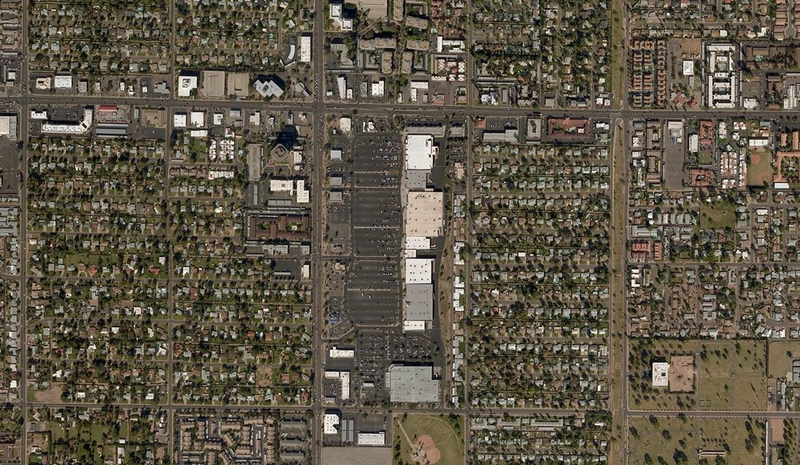 Whatever the reason, the blocks were poorly-suited to the industrializing city that emerged a few decades later. The legacy of these blocks with their very narrow lots was only gradually discarded over the next century or more. As in New Haven and Philadelphia, build new streets into the blocks to create new, smaller blocks with more reasonable dimensions. Allow condominium development to stretch back from the street in rowhouse and/or detached form, which would allow numerous owner-occupied units on each lot. Where alleys exist, allow new houses (i.e. ADUs, accessory dwellings, "granny flats," etc.) to be built along them. 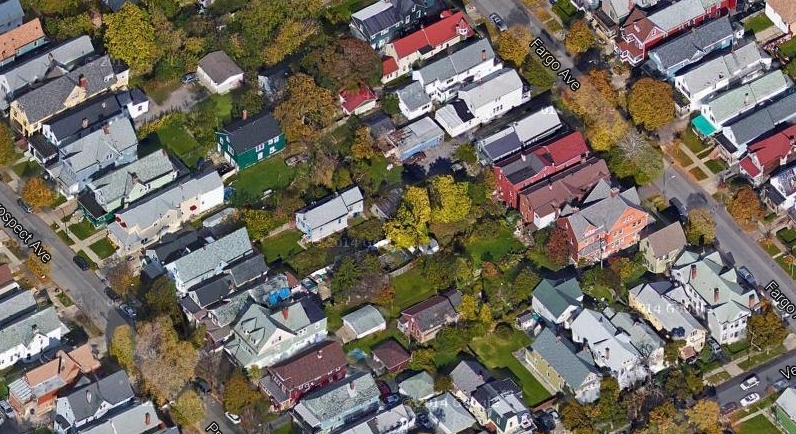 Where three lots once hosted perhaps three duplexes with two two bedroom units each (the Buffalo "2/2"), there are now eight fairly large (1800 sq. ft.) single-family homes, or, if homes were divided by floor, as many as sixteen one and two-bedroom units. A small lane (or really narrow street if you prefer) runs in between the homes, and cars can be parked alongside houses. The backyard is heavily truncated, but there is enough space for a small patio. If the above design were extended to another three lots on the opposite side of the block, the lane would become a small through-street, helping to open up the large blocks. 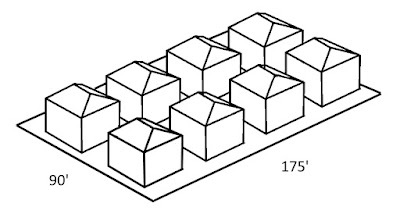 Further, if the houses were made slightly smaller, I think it would be possible to fit in ten rather than eight. You can do the math. Houston, in particular, has countless examples of this sort of townhouse or compact single-family infill development, especially in and around the Montrose neighborhood. A Google maps tour of the area will reveal the various ways such developments can be planned and arranged. The ADU approach is so well-known I need not provide any examples of it here, but it is obviously less practical in situations where there are no alleys, as in Buffalo, which if lots were to be legally separated would require either complex shared driveway arrangements or the use of flag lots, impractical where the lot is already so narrow. There is much more that could be done with multifamily housing, but that will need to wait for another post. *As Nathan Lewis has noted, long, elongated houses are inefficient users of resources, requiring more wall length per square foot than a square house. These dimensions are also less favorable for energy conservation, as there are more points for heat to escape. It's possible to advance many explanations for the rise of zoning in the United States in the 1920s: classism, resurgent racism, reaction to rising vehicular traffic, the failure of restrictive covenants and many more. While all of these reasons, among others, have some explanatory power, for me they fail to adequately account for the unique and distinguishing features of American zoning as described by author Sonia Hirt, namely, the establishment of exclusively residential zones as well as the creation of single-family detached zones. A possible alternative explanation is that these specific features were motivated by and in reaction to many of the same conditions that gave rise to the immigration restriction movement which came to prominence at nearly the exact same time. For example, the village of Euclid's zoning ordinance, which led to the Supreme Court case of the same name, was adopted in November 1922, slightly more than a year after the Emergency Quota Act of 1921 was enacted. Restrictionist currents were running very strongly throughout the nation at the very time that cities busied themselves passing zoning laws. 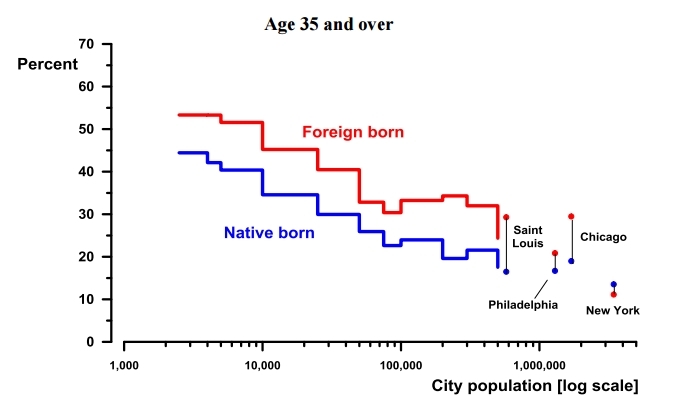 How, or why, did the foreign-born achieve relatively high rates of ownership? Sutch speculates that immigrants valued property ownership due to "the importance of acquiring a life-cycle stock of wealth because of an inability to rely upon distant family members, the larger community, or co-ethnic neighbors for protection in old age." Contrarily, in From Cottage to Bungalow, Joseph Bigott writes about ethnic savings and loan entities in turn-of-the-century Chicago and how these offered greater financial flexibility, in some sense, to new immigrants. "[I]mmigrant families, many of them already the owners of small businesses, were likelier to be undaunted by the extra risks and work posed by being small landlords, such as the need to build up cash reserves to cover loan payments in the event of vacancy of the rental apartment. Additionally, partially due to Chicago’s characteristic clustering by nationality, many immigrant families have an extensive network of acquaintances from the same ethnic group to draw upon as a pool of potential tenants, and for whom credit and character checks can be undertaken in a verbal, informal manner via social contacts." The small business and the multifamily dwelling were, in that sense, the gateway to prosperity for many immigrants, as well as a gateway to homeownership, around 1900 and continuing even today. Given that reality, I think the observer of history should find it very odd how central a position American zoning gave to the exclusion of commercial uses from residential areas and the banning of multifamily uses from large areas of entire cities, particularly when other countries not so well-known for their elevation of so-called property rights embraced neighborhood commercial as a desirable and positive social good. Small SF and multifamily housing with added restaurant/retail, Port Chester, NY. "The [laundry] controls were an expression of the hatred and antipathy which San Franciscans were directing against the Chinese, trying to force them to quit the city. The immigrant is in the fiber of zoning. He first appeared as an Oriental. In early twentieth-century New York he is seen as a southeastern European, the lower East Side garment worker who presence in midtown Manhattan created one of the decisive moments in the history of zoning." None of this is terribly new or controversial. A connection that hasn't been made as clearly is how single-family zoning and the total exclusion of commercial uses were specifically targeted at the immigrant businesses and housing options described above. A newly-arrived immigrant (and most people in general) did not have the capital to construct an entire "mixed use" building. After some time, though, he might be able to add a very small commercial addition onto an existing building, as shown in the photo above, or convert the first floor into a storefront. Zoning would forbid this development in two ways: first, by instituting setbacks, and secondly by eliminating commercial uses altogether. Even native residents needed commercial uses in close proximity, but these were to be relegated to special corridors where competition would be greater and immigrants would have more difficulty gaining a toehold. With respect to residential buildings, the banning of small multifamily buildings from much of the city foreclosed the route to homeownership previously mentioned. A century after New York's zoning code was adopted, the numbers have flipped, and the native born are much more likely to be homeowners than the foreign born (67% to 52%, according to the Census). The financial benefits of homeownership, moreover, have been concentrated in the hands of the upper middle class, the original backers of zoning. 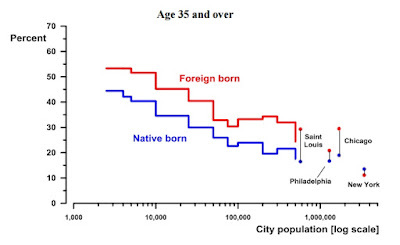 It is only antipathy to immigrant populations that I think can explain these dual features of almost all American zoning codes, and their absence from the codes of most other countries. The apparent trauma of early 20th century immigration led Americans, or at least a vocal portion of them, to shred their traditional respect for individual property rights and institute special zones which reflected native middle-class values and conceptions of proper living conditions. The loss of neighborhood shops, or affordable rentals, were unfortunate but necessary casualties of this process. 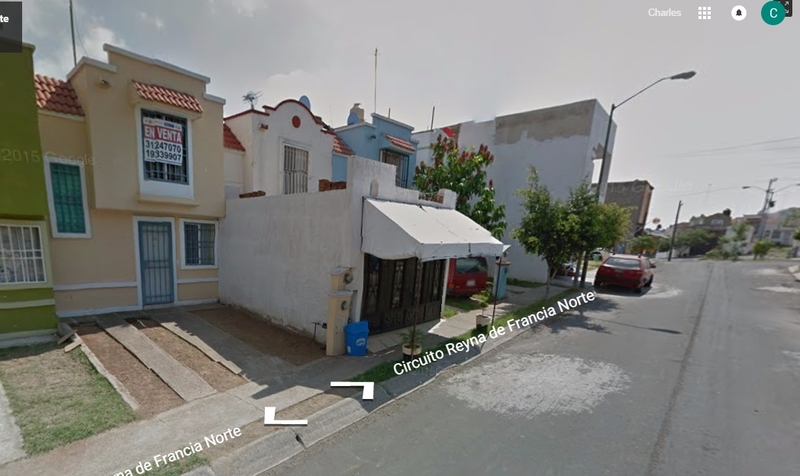 Elsewhere in the world, the process of commercial conversion can still be watched unfolding, as below in Mexico. Shopfront in setback, contemporary Guadalajara suburbs, Mexico. I am not certain, though, that the alliance against shops and multifamily dwellings was ever as unified as it was made out to be. Then, as now, the loudest and shrillest voices probably carried the day. Many natives would have liked to have run businesses out of their homes as well, although the importance of multifamily housing a means to ownership waned with the arrival of new forms of mortgage finance in the 1920s and especially 1930s. While times have changed, the rolling back the restrictive laws of the 1920s would pay dividends even today. Walmart has been in the news more than usual of late, with the announcement that it was closing 269 of its stores as well as backing out of building two stores in lower-income areas of Washington, D.C. Add this to Walmart's stock price decline of nearly 30% during 2015, and the picture begins to look somewhat bleak. Although Walmart's financial prospects for the future are an interesting topic, it's the chain's position within urban environments that has been relatively little explored. "We find that Wal-Mart’s impact is highly localized, affecting firms only within a tight, two-mile radius of its location. Within this radius, the bulk of the impact falls on declining firms and mostly on the intensive margin. Entry of new firms is essentially unaffected. Moreover, the stores most damaged by Wal-Mart’s entry are the outlets of larger chains. This suggests that Wal-Mart’s expansion into groceries is quite distinct from its earlier experience in the discount industry, where the primary casualties were small chains and sole proprietorships that were forced to exit the market." It seems that, for grocery purchases, most consumers are unwilling to undertake longer journeys than necessary even for somewhat lower prices. Walmart's use of the "Supercenter" business model, however, means that it is impossible extend those two-mile radii over an entire metro area. Moreover, the dependency on low land prices for these stores means that Walmart is often absent from entire central areas of cities. In San Antonio, for example, there is not a single Walmart establishment in the central 50 square miles of the city. By contrast, local chains like H-E-B and independent groceries have the flexibility to open stores within central areas. The abandonment of Walmart's "Express" stores with the recent closings seems to have spelled an end for an attempt to compete with these smaller urban groceries. Further, these supermarket chains have been edging in on Walmart's own territory, with chains like Kroger beginning to stock clothing and a wider range of household items in their most recently opened stores. The competition from Amazon has been widely reported on as well. From an urbanist perspective, it's easy to cheer all this news and condemn these stores as destroyers of local business and magnets for the car-dependent, but does it need to be this way? I'm not so sure. The person who can find no redeeming qualities in big-box stores ignores a central fact of the modern US retailing industry, and to his or her peril. If the conclusion is that these stores are incompatible with urbanism, then a large portion of the retail business will be relegated to the car-dominated realm. Although there is some underground parking, there is no surplus, and hundreds or thousands of surrounding residential units are within walking distance of the market. Rather than detracting from small business, the pull of the market draws traffic down arteries past other businesses, providing them with needed foot traffic. It should be noted there is rapid transit in close proximity as well, just barely visible in the lower left hand corner, and there is also a network of segregated bicycle paths. There are historic precedents for this sort of urbanism in the form of the souk or bazaar, itself a sort of mall at the center of a walkable city, as well as the ancient Roman forum, which was often little more than temple in the middle of a two-story arcaded and enclosed shopping mall. 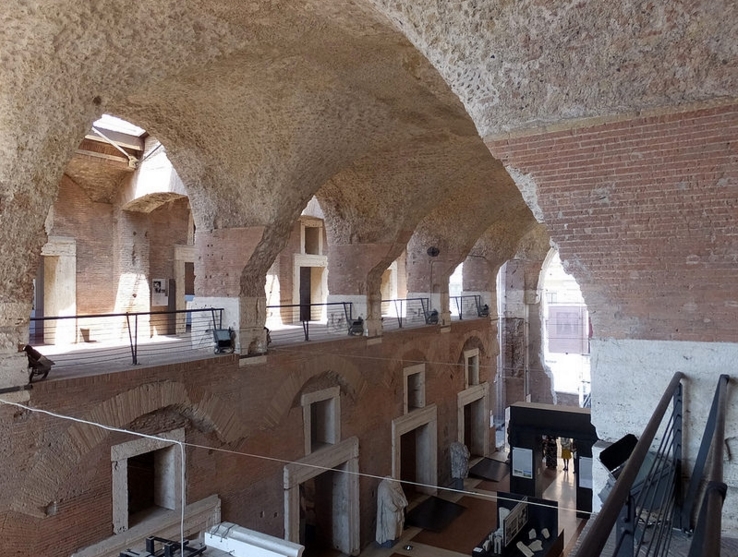 Some structures, such as Trajan's market in Rome, were in fact enclosed malls of shops and offices with an appearance very similar to those of today. Trajan's Market in Rome, one of the first "dead malls." Via Flickr. In a sense, the big box store offers unusual possibilities for walkability, and yet these have rarely if ever been taken advantage of within the United States. 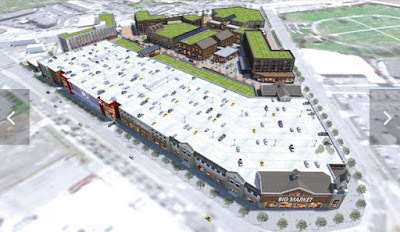 Although there are some urban big box stores, the number of consciously planned "Walmart-oriented developments" appears to be close to zero (but wait -- see below). Although there are many master-planned developments which incorporate retail, none are anywhere near as integrated as the above Spanish example. A Target and supporting retail in Phoenix, AZ. The typical Walmart or Target is designed around the assumption that near 100% of customers want to arrive and will arrive by driving, but this is also a self-limiting business model that virtually eliminates quick or impulse shopping trips, or trips by those without access to a car. It is easy to envision how a combination of higher quality and more local food shopping options plus online shopping could threaten to weaken these chains' business model. A greenfield Walmart or Target truly integrated with its surroundings and embracing the possibilities of pedestrian access -- even if it required these companies to dabble in residential real estate -- could have tremendous upside. 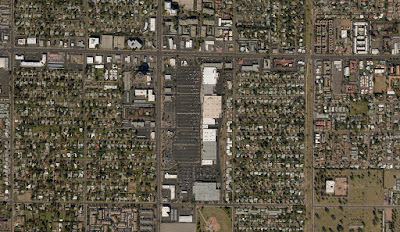 Using a five-minute walkshed, a sufficient density could be obtained using some of the residential forms visible in the Phoenix image above to provide the store with a reasonable portion of the customer base needed to economically sustain it. Moreover, it would just be a more pleasant environment in which to live. 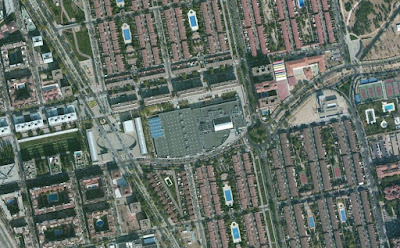 The challenge of incorporating parking, which would still be needed in lesser amount, was resolved in the Madrid example by a partially underground lot. 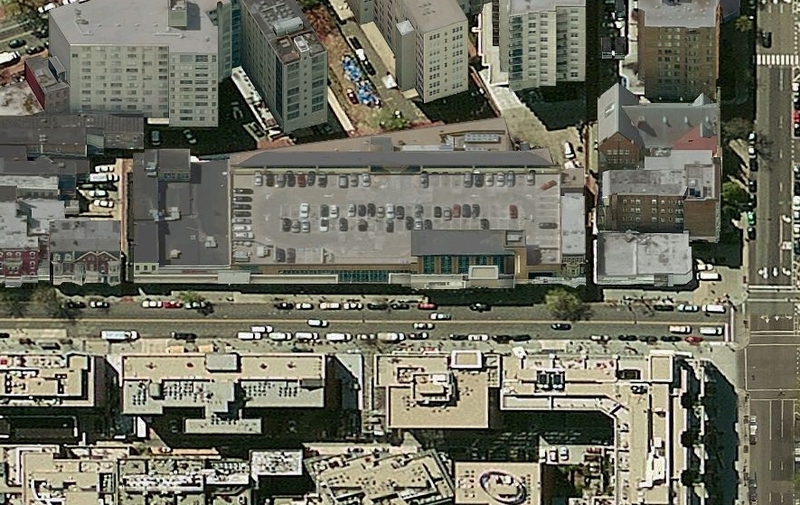 An alternative, rarely explored, is to place parking on the roof of a building. The added construction expense might be compensated for by surrounding residential land use. 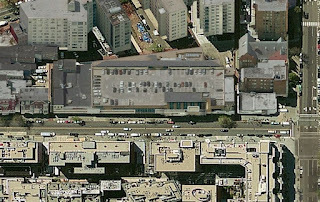 Rooftop parking at a Whole Foods in Washington, D.C. Note the parking on the roof and the use of what would have been the surface parking area for shops and residential on narrow streets (!) closely integrated with and with easy walking access to the "big box" store at lower right in the rendering. I have to think that this is the way forward for the big box store. This design format makes allowance for car trips but embraces walkability as well. It will be interesting to see how this project fares and if the concept catches on in other cities. "There are plenty of neighborhoods ... in which the value of neighborhood amenities is capitalized into home prices. These are neighborhoods with valuable amenities that lack close substitutes and which are, for lack of a better word, “under-zoned.” Homeowners in these neighborhoods have strong incentives to obstruct increases in zoning entitlements and to agitate for down-zonings in order to protect the value of club membership. And they do." "I've lived here for 31 years and you are and in some ways already have destroyed the essence of our quaint village of [Anytown]." "I'm signing because our lovely [Anytown] is being destroyed, one building at a time. Please stop this madness. The only people benefitting from all this construction are the builders and developers." "Stop the intrusion to our community of apartment buildings and additional retail businesses. Our neighborhood is over-saturated. Traffic is horrendous, parking is limited, schools are over-crowded." "We have everything within walking distance; movie theater, skating rink, pet store, library, ice cream shop, restaurants, a great ball field. This is why our residents have chosen to live here for that small community feel. We do not need anymore apartments." "I grew up in [Anytown] and it is a charming village and should remain that way. The streets cannot handle the traffic that would be created from any further development." "[E]nough is enough. Think about the tax paying homeowners and not the greedy developers." 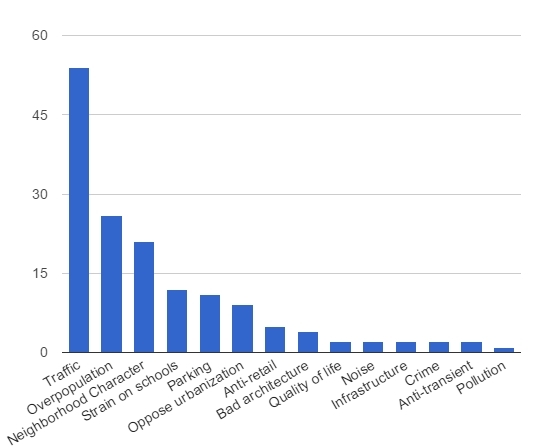 Increased car traffic is far and away the most mentioned concern, with overpopulation/overcrowding second, neighborhood character third, school overcrowding fourth and parking fifth. Notably, there were no comments citing home values or privacy concerns. One or two comments did refer obliquely to people deciding to sell in response to the arrival of apartments, but these were linked to changing neighborhood character (a less family-friendly environment) rather than falling neighborhood property values, and implied greater rather than lesser demand. Again, I think this is strongly supportive of Chris' thesis. The neighborhood in question is "under-zoned" relative to its capacity, particularly in light of transit access, and enjoys amenities that are underutilized. The repeated references to traffic, strain on schools and overcrowding are simply different ways of stating opposition to more intensive use of neighborhood amenities by additional residents. Issues such as increased noise, crime, anxiety over renter populations and similar concerns were cited much less often. The tone of the comments also provides a window into NIMBY psychology. Comments are rarely measured in their language and frequently employ hyperbole. The majority are devoid of any optimism, and one gets the overriding sense that there can be no positive change, only a constant battle against further decline and decay. This NIMBY mindset, pessimistic in the extreme, appears to be behind the despairing tone evident in much of the commentary. It may be that these attitudes are most prevalent in those areas where upzoning would be most beneficial for precisely the reasons Chris mentions. Overall, these sorts of findings suggest that addressing concerns over property values may have little impact in many cases of neighborhood opposition to densification. Understanding what motivates this opposition will require looking closely and in good faith at the concerns that are raised. In a recent post, I pointed out how, when adjusted for age and life expectancy, homeownership in the United States is lower than is has been for many decades. In the comments, it was further pointed out that not only is homeownership itself lower, but that free and clear ownership has been on the decline as well. 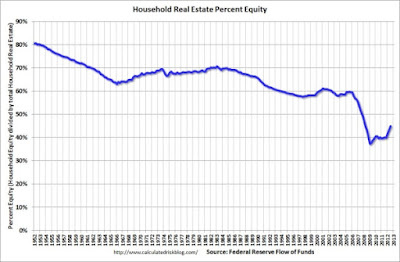 As can be seen, there has been a dramatic change over time, with over a majority of owned homes being owned free and clear in the 1920s and 1940s, and thereafter steadily declining to the present figure of just under 30 percent. The increase in the 1940s may be related to the effects of wartime rent control and the shift in cash investing to real estate during those years. Today, the majority of these non-mortgage encumbered homes appear to be owned by senior citizens who have paid off their 30-year mortgages. In light of this, and the growth of the over-65 demographic since the 1940s, it should be somewhat surprising that this statistic has declined. The chart speaks for itself, with a decline in the 1950s and 1960s likely related to a growing use of the 30-year mortgage with its lower down payment requirements, a stabilization through the early 1980s, and a precipitous decline during the cresting and burst of the housing bubble in the late 2000s. The implied conclusion here, that a dramatic expansion of debt has been necessary just to maintain the illusion of a stable homeownership rate (setting aside the explosion of debt in the 2000s necessary to support an increase in homeownership), puts an even more negative spin on the figures from the preceding post. In short, a decline in homeownership has until the past few years been masked by shifting demographics and an increase in household debt. 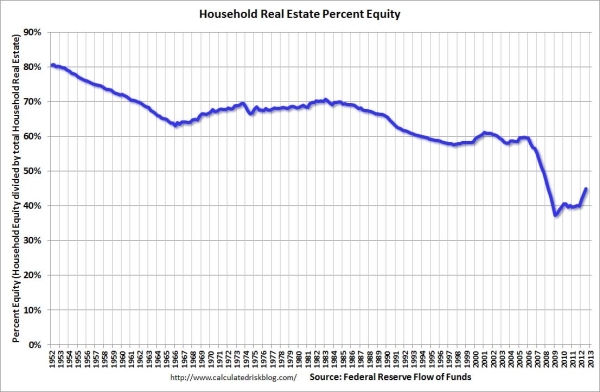 One last point here is that although homeownership fell back to its earlier baseline (in non-adjusted figures) following the real estate bubble, equity has not risen back to to the prior 60-70% range, even in spite of the many institutional cash buyers on the market. The debt legacy of the bubble appears as though it will be around for many years to come. Are Millennial Families Really Seeking a Car-Based Suburban Lifestyle? A recent article by Lyman Stone makes the argument that the return to cities observed during the late 2000s, rather than being primarily a reflection of increasing preferences for urban living, was a temporary phenomenon caused by a bubble in suburban real estate which for a brief time made city renting significantly less expensive than suburban buying. Under this theory, there was no great change of preferences among the so-called millenial generation or others, but only a temporary price inversion caused by fleeting and unsustainable cost factors. The general idea that land rents are higher toward city cores, and lessen in a concentric pattern outwards from the center, is not new. As the "bid rent theory," it was developed by William Alonso in the 1960s, and has applicability to cities from the distant past all the way down to the present. Modifying but not necessarily contradicting this theory is the concept of the "favored quarter," in which bid rents are determined by cardinal direction from the core rather than by distance alone. In contemporary cities, both the bid rent and favored quarter can be easily found and mapped. 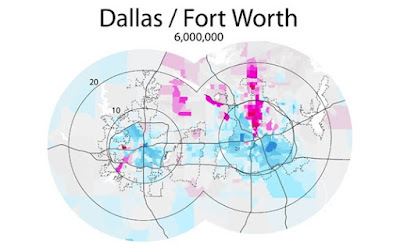 Income distribution map of Dallas/Fort Worth by Bill Rankin. In general terms, the bid rent theory holds that commercial uses will compete more intensively for space in central areas, resulting in higher density (and higher cost) housing forms as residential uses are forced to bid against non-residential uses for scarce land. By contrast, the favored quarter may represent a wealthy neighborhood using the zoning power or self-rule to insulate itself from non-residential or high-density residential competition, thereby securing what is in effect a subsidy for a valued central location. This sort of abuse of the zoning power, at city-wide scale, has been the subject of a tremendous debate in recent years. None of this is new or particularly controversial. The bid rent theory does not presume anything about residential preferences, so far as I am aware, though we might imagine that the same proximity and centrality that is attractive to commercial uses is also appealing to residents who could enjoy that same immediate proximity and centrality as a major amenity. At the same time, the hustle and bustle of commercial uses are repellent to those who, for their residential spaces, crave some degree of quiet enjoyment. Central areas are also likely to be disfavored by those, such as young families, who value large living spaces and high quality public schools above even immediate conveniences where both preferences cannot be met simultaneously. 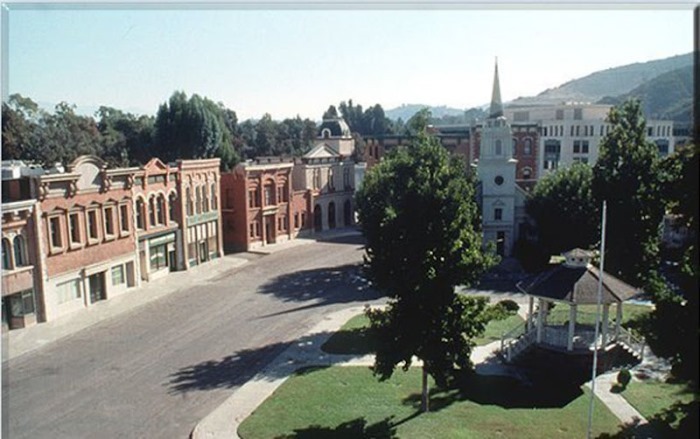 Stars Hollow set, and also, I believe, for Hill Valley from Back to the Future. The allegedly unrealistic image of the town in the show has been critiqued here, but I still think the popularity of the series has something to tell us about the environments and lifestyle people idealize, even if the particular example in the show may not be economically plausible. Lest we imagine that these choices are in fact economically or spatially incompatible, or that what is being sought is the unobtainable single-family house in Central Park, this is the essence of Japanese market urbanism: an extremely compact assemblage of small single-family homes (and some apartments) that is pedestrian and bike friendly. This must be the case, since lower densities will result, for the majority, in the perception of a "residential-only" neighborhood. Naturally, Japanese-style development (as described by Nathan Lewis here) is one thing which the American cities have almost entirely failed to provide, although a few neighborhoods here and there, generally developed before 1930, provide a reasonable facsimile. "The millennial “flight” from suburbia has not only been vastly overexaggerated, it fails to deal with what may best be seen as differences in preferences correlated with life stages. We can tell this because we can follow the first group of millennials who are now entering their 30s, and it turns out that they are beginning, like preceding generations, to move to the suburbs. These trends can be seen on a nationwide basis. Among the cohort of children under 10 in 2007, the number who lived in core cities as of 2012, when they were 5 to 14 years of age, was down by 550,000. 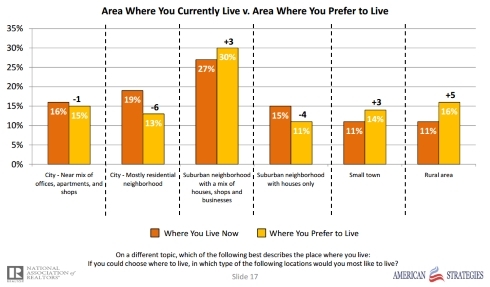 Families are the group most likely to move either to the suburbs or smaller towns. This movement, plus the high degree of childlessness in large urban cores, suggests that many of those who are leaving the core cities in their early 30s are parents with young children." Now, for families with young children approaching kindergarten age who lack the resources for expensive private tuition, school quality emerges quickly as an important preference, subordinating almost all other concerns. But this does not mean that these families do not desire an urban lifestyle, or, by their housing choices, are rejecting such a lifestyle. The survey data seems to broadly refute that idea. Rather, the cruel spatial economics of exclusion favor low-density, restrictively-zoned places for "good schools," and American cities offer few other intermediate options. Abandoning an urban life, with its high costs, is a sacrifice for one's children rather than, necessarily, a pursuit of an ideal. The choice is reinforced by the panoply of incentives the US tax code offers to those who would buy rather than rent. Many other families with financially limited choice, shut out of suburban options by restrictive zoning and other exclusionary policies, must remain in urban areas regardless of their preferences. Seen in this context, I do think the New Urbanism has tapped in to something important in the American psyche. Only, as Nathan Lewis has written about, it has generally (but certainly not always!) done so too literally, using lackluster American examples as inspiration rather than successful ones from abroad. I do not think the American imagination is so literal, though. Stars Hollow passed as a New England town even though it bears no resemblance to the typical Connecticut small town with its large central green and sprawling layout. What was important was not the specific form, but rather the walking lifestyle, the spontaneous interaction and the community as a whole. The set simply provided the urban form necessary to sustain the belief that this lifestyle was possible for the characters. If a real-world development does not offer a sufficient density, or sufficient flexibility in terms of mixing of uses, these things will not occur, and you will have little more than a film stage set. 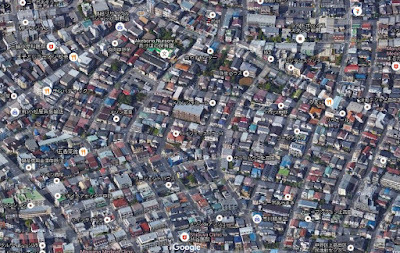 Imitate a Japanese neighborhood, on the other hand, and you may have more success. Perhaps clad the buildings in Georgian and Colonial facades for the tastes of American buyers, but leave the form alone. Do not obsess over mixing of uses or "apartments over the shop" -- these things take time and happen gradually, not all at once and from the beginning. A suburb built to this form, odd as it may seem, will meet the stated preferences of American buyers, families included. The demand is certainly there. The New Urbanism, whatever its failings, has at least recognized the situation, changed the conversation and opened new possibilities not only in terms of building, but regulatory reform and making possible traditional forms of urbanism under contemporary city codes. This blog is intended as a sort of continuation of this new conversation using a slightly different vocabulary. As to what such a new neighborhood might look like, Nathan Lewis has already written at length, but in another post, I'll reiterate some of his findings along with an example that could be done today.